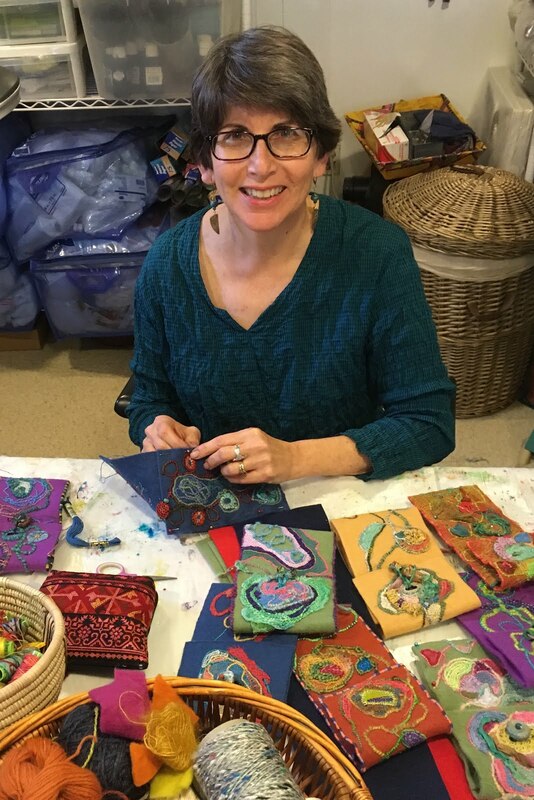 I spent a couple of hours with quilt artist, Floris Flam today in her studio at VisArts in Rockville, Maryland. 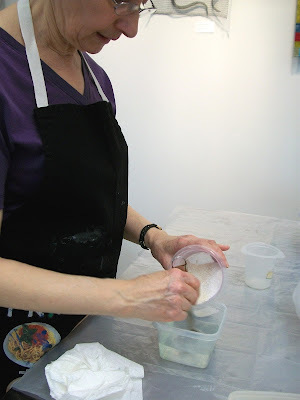 She took me through a step-by-step of mixing up and painting with thickened dye. 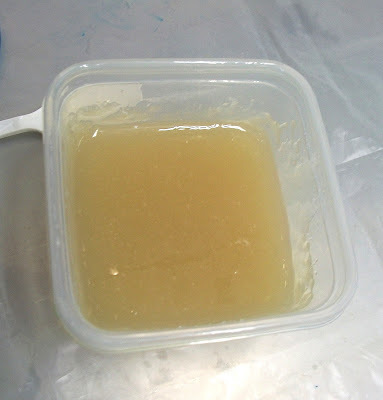 This is what the thickening paste looks like before adding water. It contains some Urea which comes into play later in the process. Next Floris added the dry paste mixture to water. It has to be stirred continuously for several minutes until it is mixed thoroughly and starts to thicken. It needs to stand for at least an hour, though it is better if it stands overnight as it will then become smooth. This is what the thickened paste looks like when it is ready to use. Now it is time to add the dye. 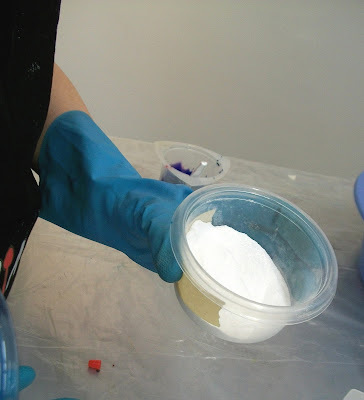 The dyes used with this process are PRO MX Reactive Dyes. 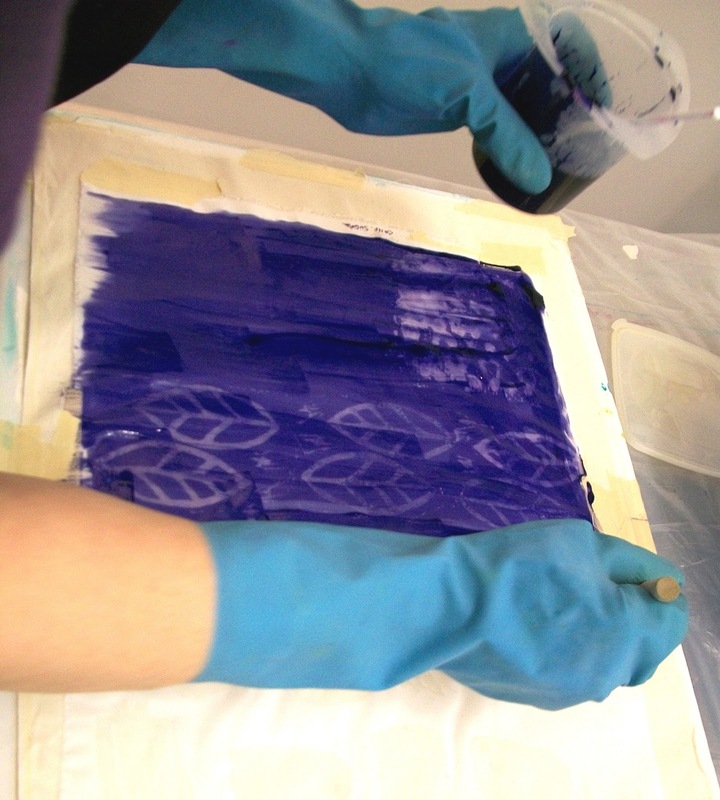 Floris had mixed the dyes at home and brought them into the studio. 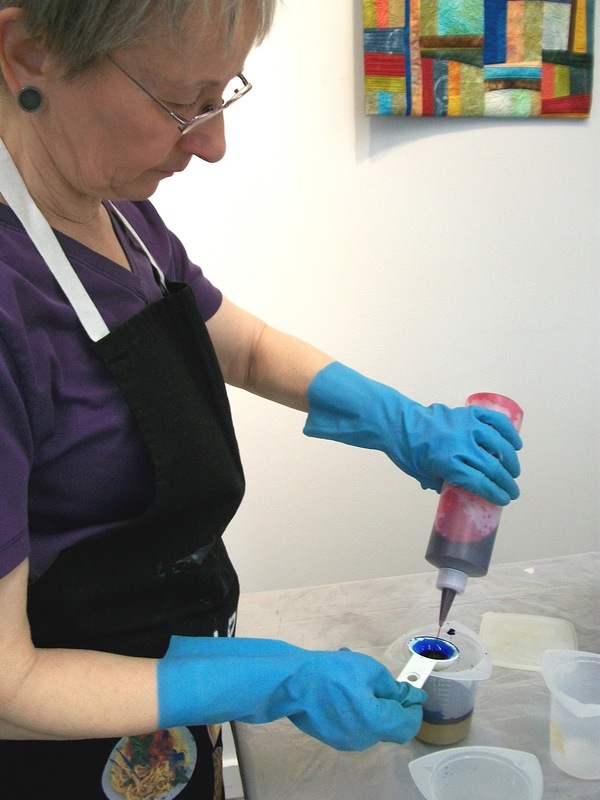 The ratio of dye to paste will determine the darkness of the dye. Floris works with primary colors and has assembled dye color charts to figure out color mixtures. She mixed a purple to work with today. 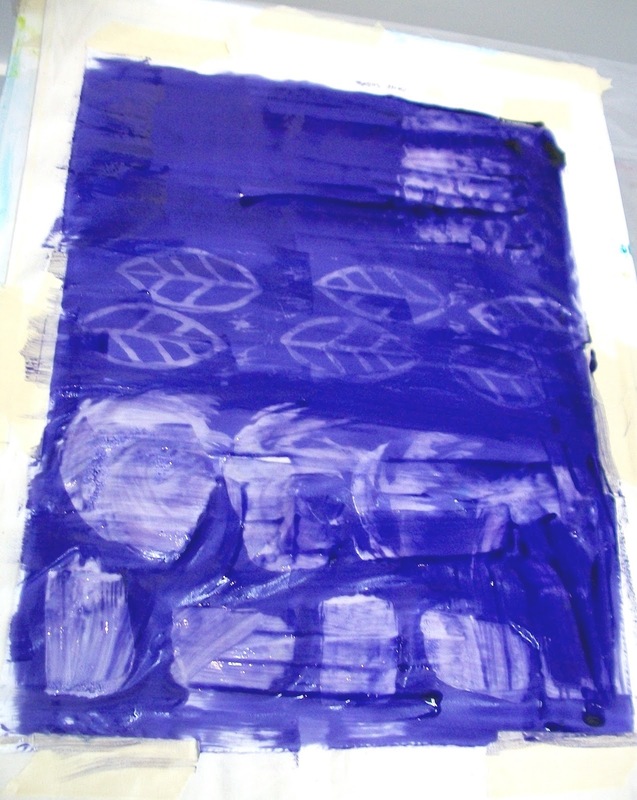 The last thing that needs to be added before painting on the dye is a baking soda/soda ash mixture. This activates the dye in the dye paste. Once this is mixed in, the paste lasts for 4 hours. I brought in a sampler fabric of different application techniques using cooked Confectioner's sugar resist. Both Floris and I wanted to see how the print paste would work with the water soluble resists I've been working with this past year. Here Floris is using a foam brush to paint on the thickened dye. 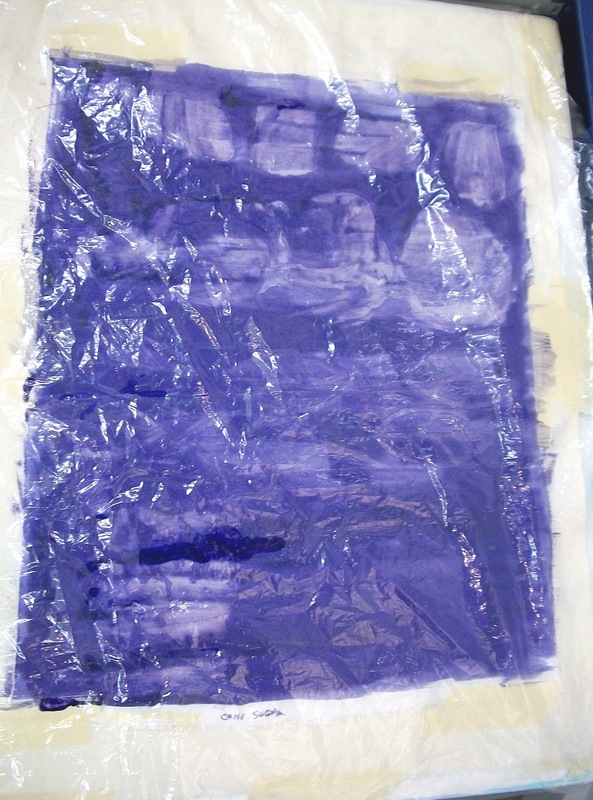 This is what the fabric looked like after being painted with an even coat of the thickened dye. The painted fabric now has to be covered for 24 hours in order for the dye to bond. The dye has to stay moist during this time...this is where the Urea comes into play as it helps keep the water from evaporating from the dye paste. After 24 hours, the fabric is rinsed with cold water to remove the soda ash. It then has to be washed in hot water (140 degrees F) with Synthrapol. 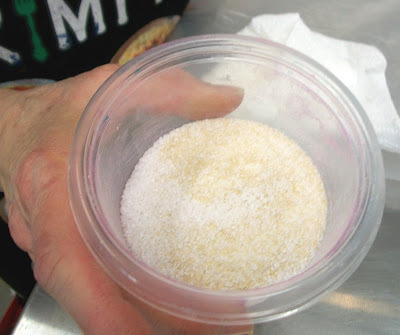 Since this is just a sample, after removing the soda ash, I will probably just wash it in hot water from my kitchen sink. 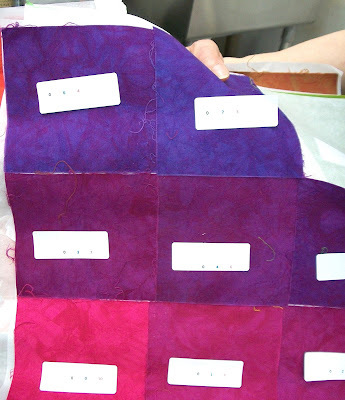 Floris has been taking an online dyeing class with Candy Glendening to work out this wonderful color chart. Here are some more dye samples from the same course. 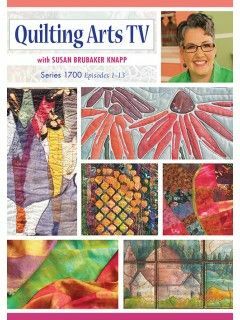 I can only imagine how many hours of time this all took but what a fantastic resource! Floris' studio space at VisArts is shared with about 7 other artists...most of them are also members of Potomac Fiber Arts Gallery, where I am a member. There was a beautiful selection of the artists' work for sale. 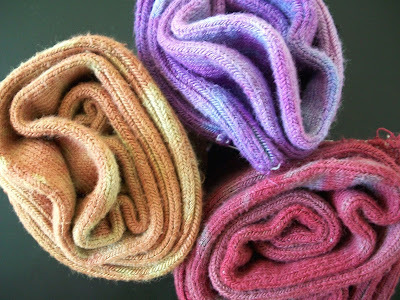 I spied some colorful dyed socks and was pleased to find out that they were made by Floris. So of course I had to buy three pairs! I can't wait to wear them. Thanks Floris for a fun and informative time. 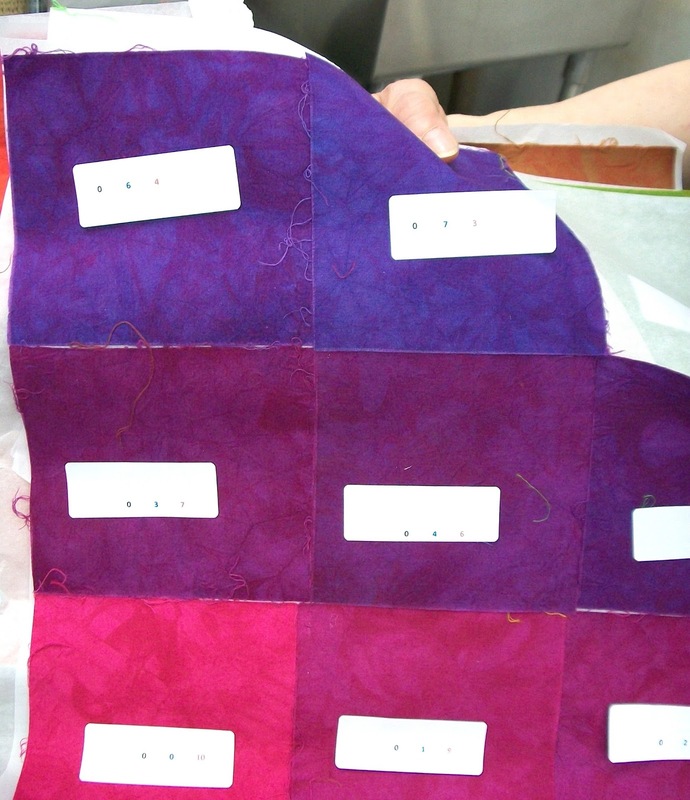 I was SO impressed by the color sample chart Floris is working on from your online class. 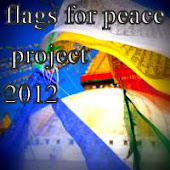 What an amazing resource to have. She was very excited about it and will soon be putting the other half of it together. We did have a fun time. 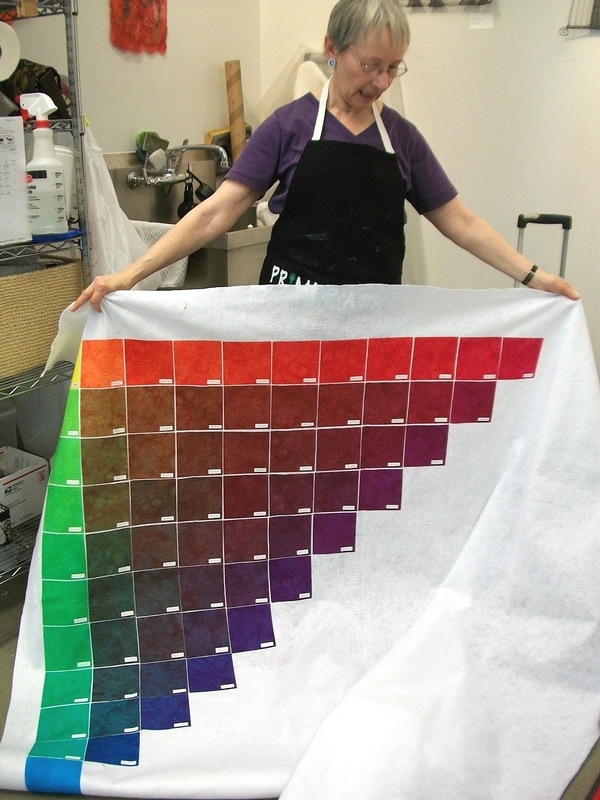 I use Setacolor paints in my surface design classes so it was a treat to learn more about thickened dyes. Floris is taking a "kitchen resists" class from me in April so we wanted to experiment to see how thickened dye would work.